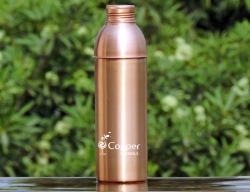 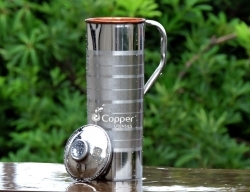 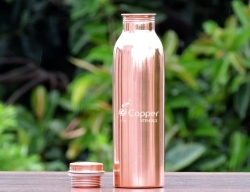 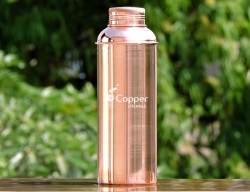 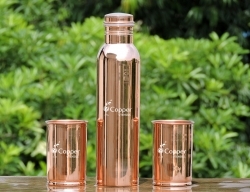 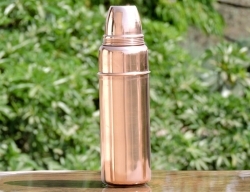 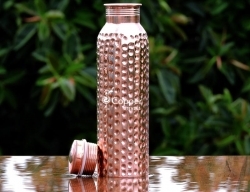 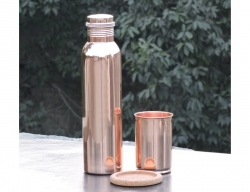 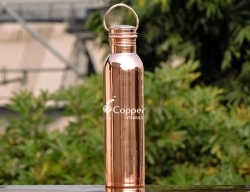 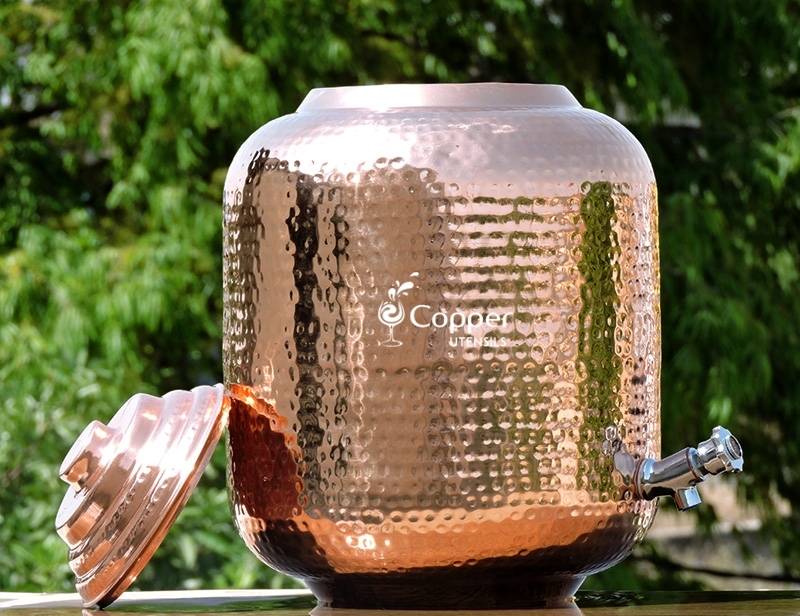 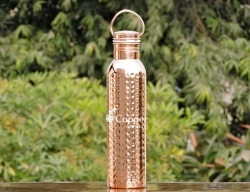 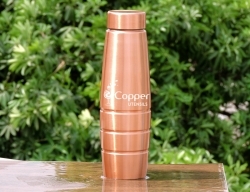 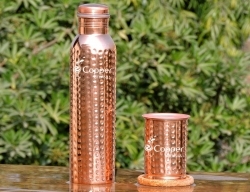 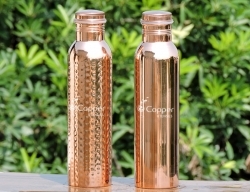 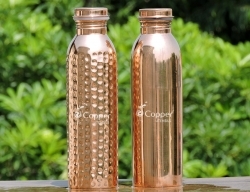 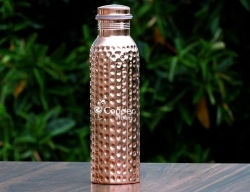 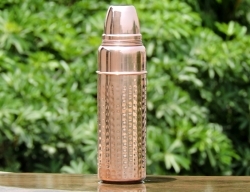 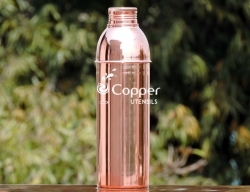 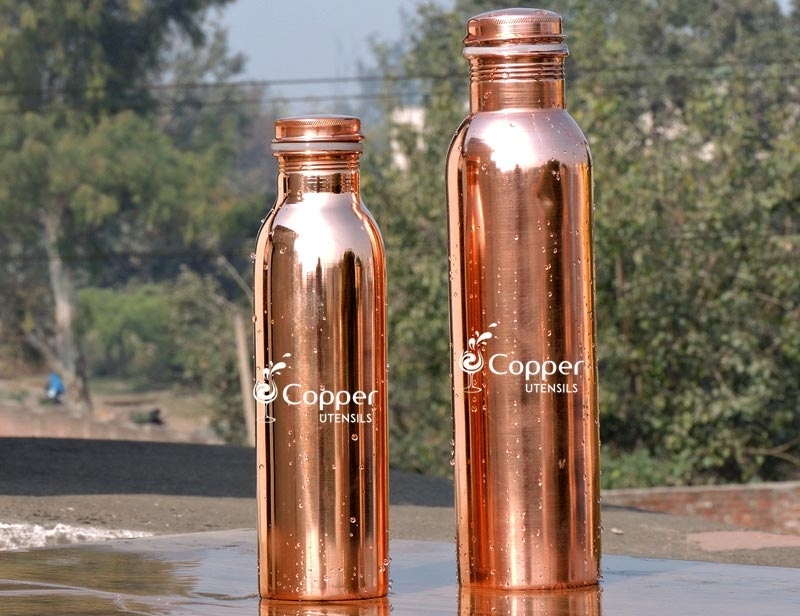 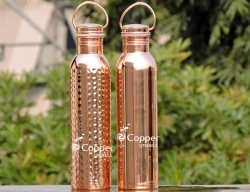 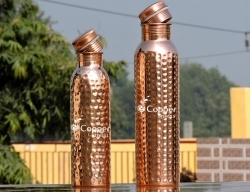 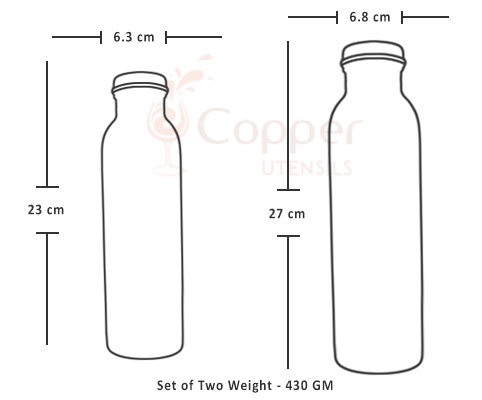 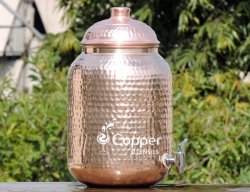 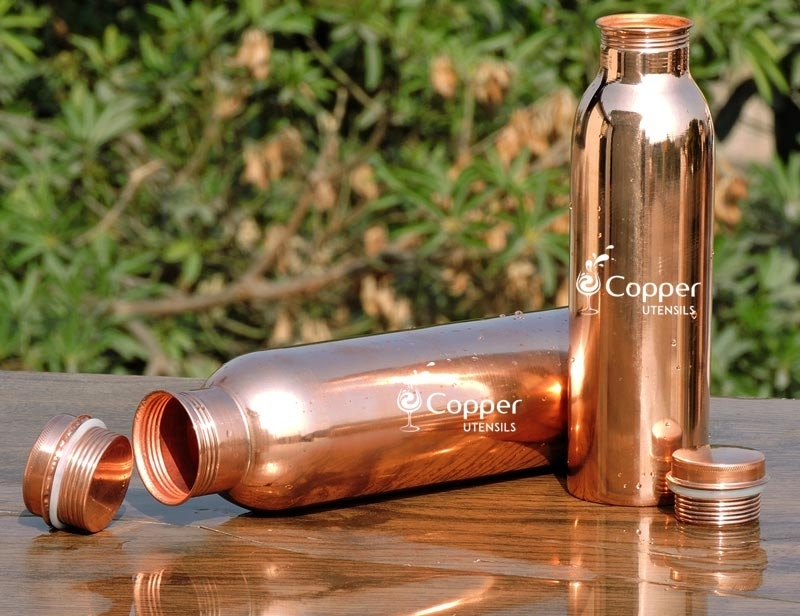 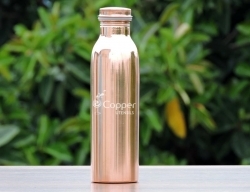 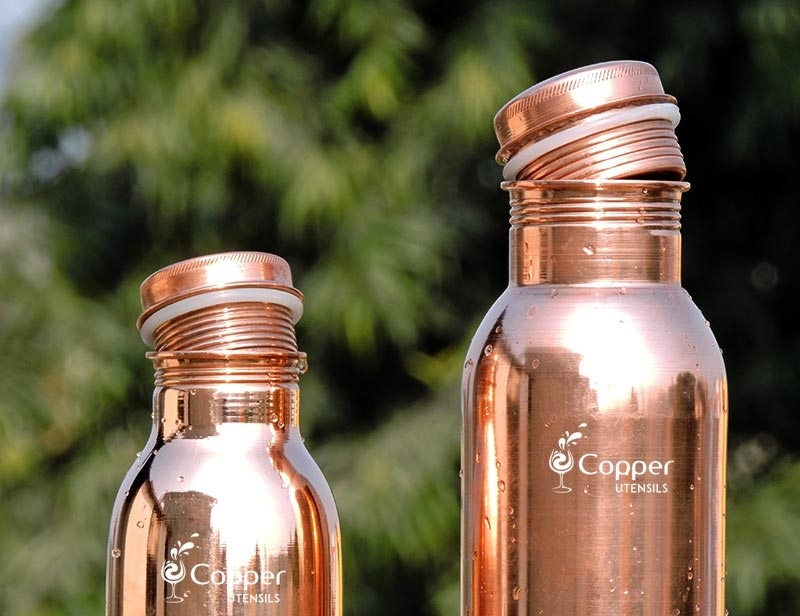 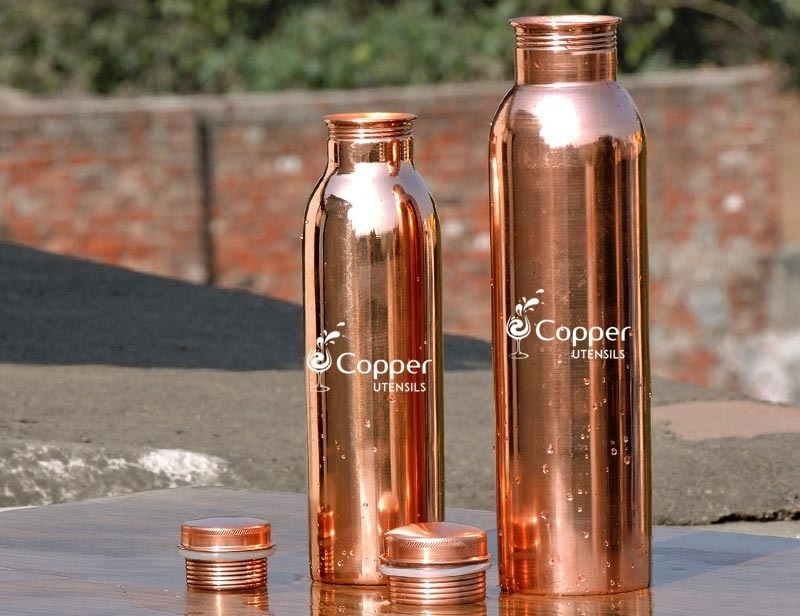 Considering the common health woes, we have launched the perfect set of two copper water bottles for storing and drinking water. 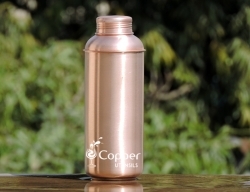 The water bottles are leak proof and make the water pure and germ-free. 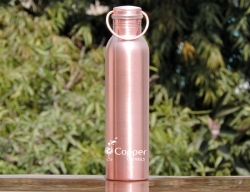 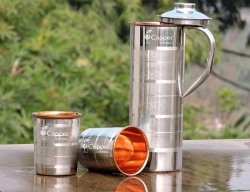 It is the perfect way to carry water to the office or for storing water at home. 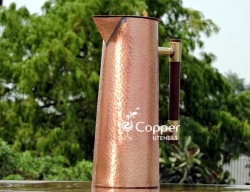 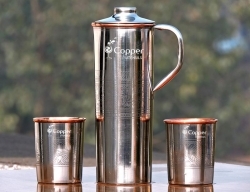 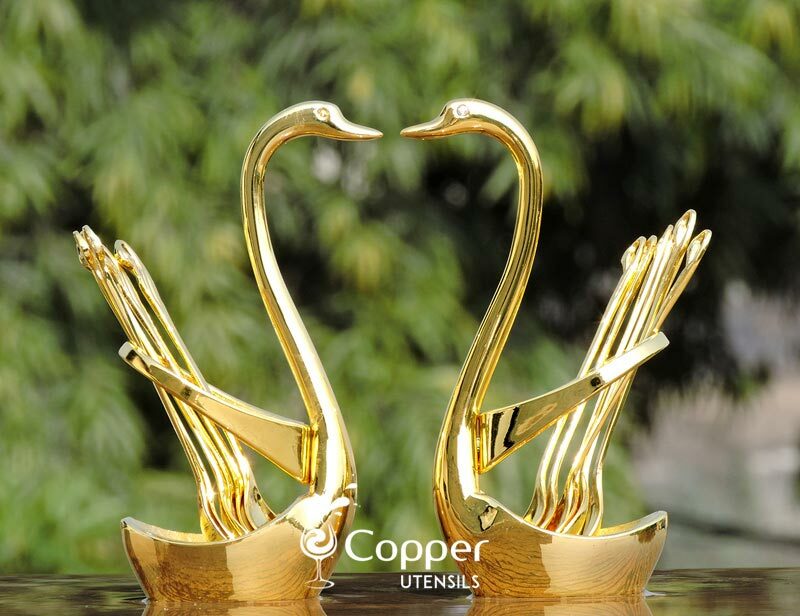 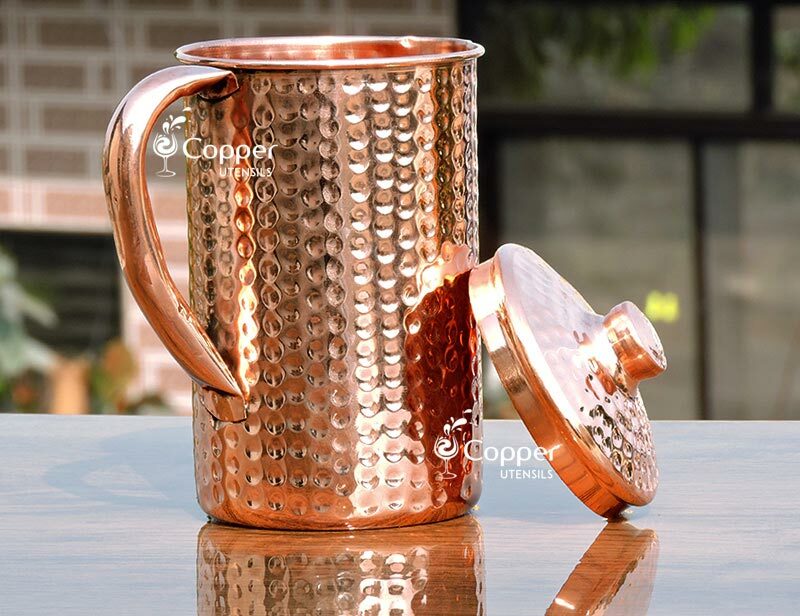 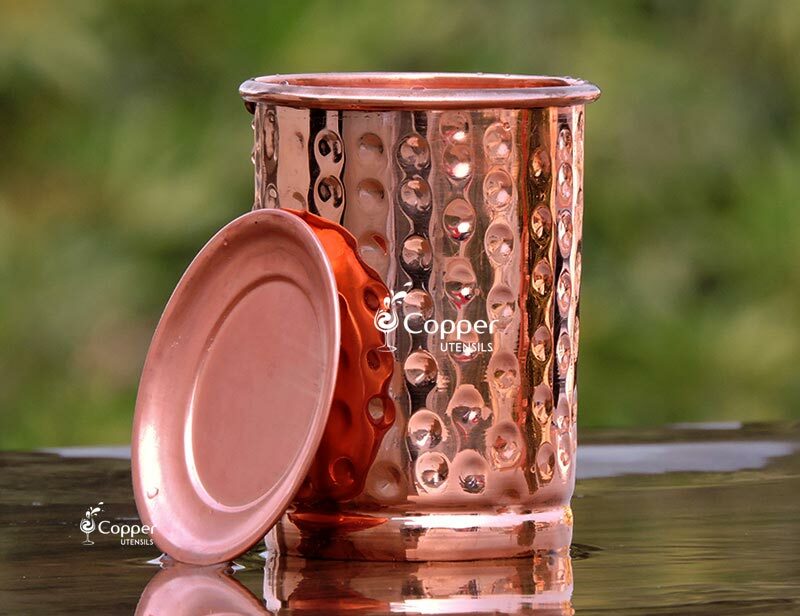 The only concern with copperware is the natural patina that it develops over a period of time. 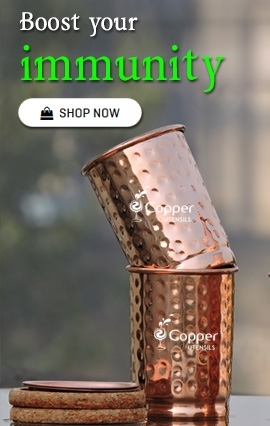 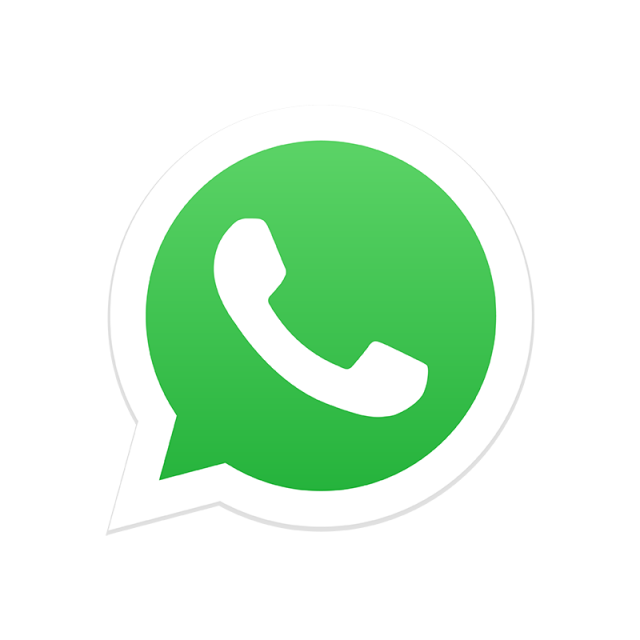 This is due to its reaction with water. 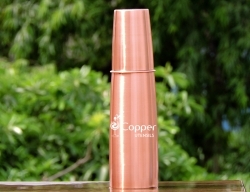 Thus, proper care should be taken to retain the shine of the product. 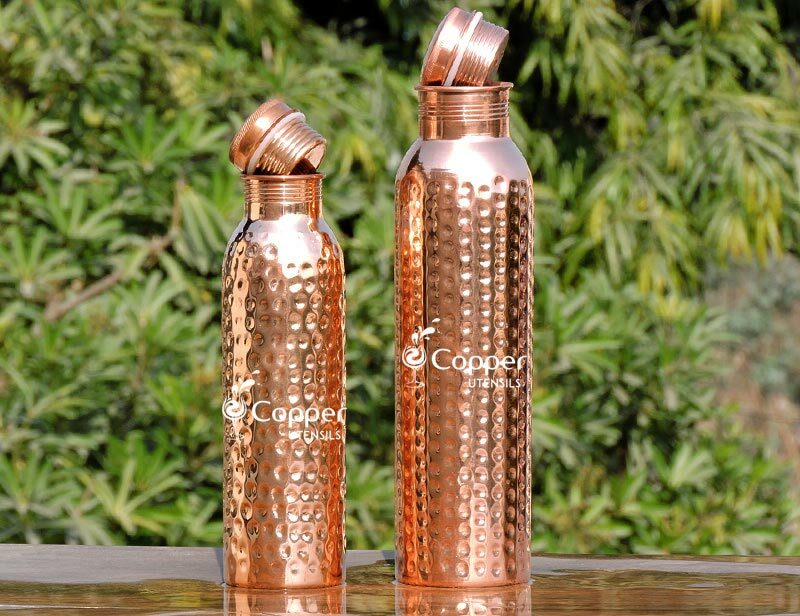 Use lemon peel with a little bit of salt to clean the stains of water and make sure to wipe off the excess water from the outer surface of the water bottle.